A three-car collision on State Route 203 in Monroe on Sunday left one person dead and injured another five, Q13 reports. A police investigation determined that a small pickup truck was rear-ended and pushed into traffic as the driver tried to turn left into a driveway. The 79-year-old driver of the pickup truck died. His 56-year-old passenger was taken to the hospital. Three 19-year-olds and an 18-year-old in a Honda hatchback was injured when the pickup truck was pushed into their path. The 48-year-old man who rear-ended the pickup truck was not injured. No charges have been filed. The crash is still under investigation. 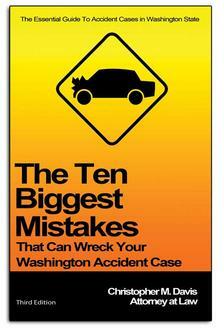 The first order of business after a car accident is determining who was at fault – i.e. who is liable for the damages. In the case above, it appears the man who rear-ended the pickup truck was at fault. Although the car full of teenagers was hit by the pickup truck – and not the vehicle that rear-ended the truck – because the rear-end collision caused the truck to enter the hatchback’s path, the rear-end driver would still likely be liable for the damages to the teenagers. If the at-fault driver doesn’t have insurance coverage, the injured parties have two options in most cases. 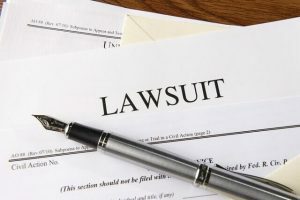 They can pursue a lawsuit against the at-fault driver personally, though drivers who don’t carry insurance typically do not have many assets for which to pay a lawsuit. This may be a dead end. The second option is to file a claim with their own insurance company under an uninsured motorist coverage. This is optional, add-on coverage, but it’s recommended that those that can afford it have it. This policy applies no matter who is at fault, and can be a lifesaver in a serious crash. Being injured in a car accident is bad enough. Dealing with the headache from the insurance companies can be even worse. If you have injuries and the other parties’ insurance company won’t pay up, your best option may be to bring a lawsuit against the at-fault driver. A great first step in learning more about this process is get a free case review from the experienced car accident attorneys at Davis Law Group, P.S. Attorney Chris Davis and Davis Law Group’s legal team will be able to provide you with an initial claim review and help you determine if you should initiate a lawsuit. Call (206) 727-4000, use the chat feature below or fill out the contact form on this page to get started.